Posted in Themes. Tagged chorale, Cologne, Easter, English Hymnal, hymn, Lasst uns erfreuen, Ralph Vaughan Williams. 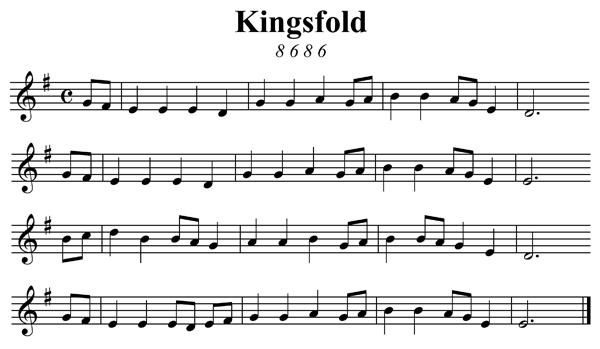 Perhaps dating back to the Middle Ages, the melody ‘Kingsfold’ was first published in English Country Songs in 1893, an anthology compiled by Lucy E. Broadwood and J. A. Fuller Maitland. Named for Kingsfold, Sussex, England, where he first heard the tune, Ralph Vaughan Williams introduced it as a hymn tune in The English Hymnal (1906) as a setting for Horatius Bonar’s “I Heard the Voice of Jesus Say”. Posted in Themes. Tagged English, Horatius Bonar, hymn, Kingsfold, Ralph Vaughan Williams, The English Hymnal. As this issues is number twenty in the series of newsletters, I thought I’d offer a simple and practical list of twenty ways to practice a hymn that you can make part of your regular routine. Depending upon your experience level, some of these might be considered warm-up exercises while others will hopefully help you expand your improvisational toolbox. While I typically only give hymn melodies on the website here, I’m writing this list with the presumption that you have a four-part harmonization in front of you, so break open the hymnal and get started! Transpose the hymn to all the other major or minor keys. Play the hymn in other modes: change major to minor (or vice versa). Try Dorian, Phrygian, Lydian, and Mixolydian (coming this Friday) as well. Play the melody in the tenor (left hand) with the right hand playing the alto and tenor parts up an octave. Play the bass either with the left hand or pedals. Play the melody in the tenor(left hand) with the right hand playing the tenor part above the alto part. Again the bass can be played with the left hand or pedals. Use an 8' stop in the pedal to play the melody in the tenor register. Play the bass with the left hand while the right hand fills in from the tenor and alto parts. 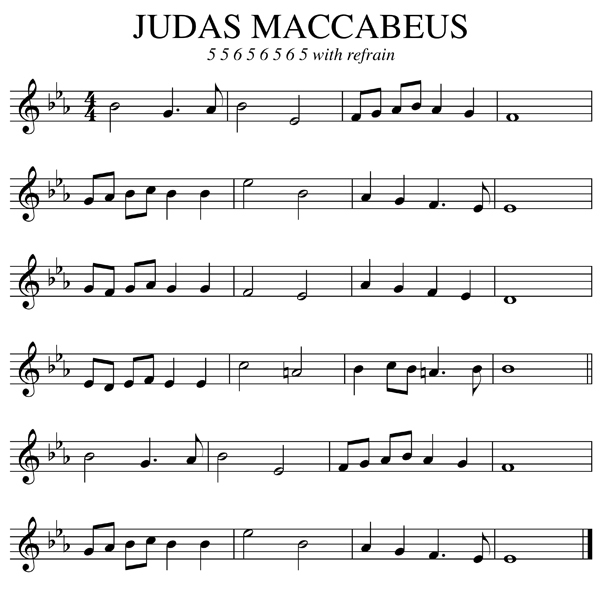 Rather than applying one type of chord throughout the entire hymn, choose a numeric sequence (such as 1-3-5, all in major) and follow the same idea as above. You could also follow a more complicated sequence, such as 1M-3m-5M-1m-3M-5m. While the progressions might not make much sense harmonically, this will help you think and shift between keys quicker. Play the melody as a two-voice canon at the distance of one note, a half-measure, and a full measure. Each of these canons can be practiced starting with the right hand, left hand or pedal creating six different combinations for each distance. Choosing the distance than works best, play through the canons again, but at different melodic intervals. Play a monophonic variation arpeggiating the chords in triplets or sixteenth notes. Be sure and try different figurations where the melody note is not always the first note of the arpeggio. Create a duo where the top voice is the melody and the bottom voice plays eighth notes (two notes for every melody note). Create a duo where the top voice is the melody and the bottom voice plays triplets (three notes for every melody note). Create a duo where the top voice is the melody and the bottom voice plays sixteenth notes (four to one). Repeat steps 12 to 14 with the melody in the lower voice and the more active voice above the melody. Repeat 12 to 14 but rather than ornament the bass, ornament the melody. Instead of a duo, you may choose to play the full ATB harmony as in the hymnal as the accompaniment. Create echo passages by changing manuals (or registration) and repeating short sections of phrases, i.e. for a two-measure phrase, repeat the second measure, and then repeat the last half-measure again. Change the meter from duple to triple (or vice versa). How many different ways can you shift the meter? For example, one measure of four can become two measures of three or one measure of three. Change the meter to 5/4, 7/8 or some other odd (but consistent) meter. Improvise a toccata following the plan from the newsletter sign-up handout! Many of these steps can be done at the piano and do not require a significant chunk of time, so I encourage you to practice as many of them as often as you can. If you can’t practice all twenty daily, choose as many as you can and practice them for twenty days and then move on to another set. 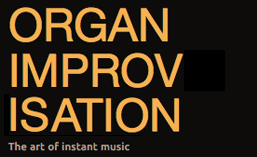 Slowly over time, your improvisational skills will grow. Posted in Lesson, Newsletter. Tagged hymn, Newsletter, Practice. 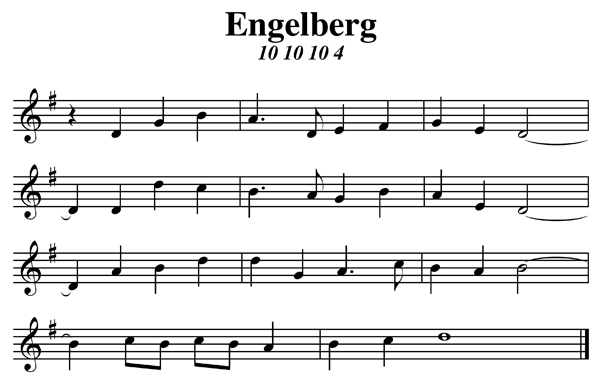 The tune ENGELBERG was composed by Charles V. Stanford as a setting of the text “For All the Saints” by William W. How. The melody was published in the 1904 edition of Hymns Ancient and Modern with multiple musical settings. The melody is now most often associated with the lyrics “When in Our Music God Is Glorified” written by Fred Pratt Green. 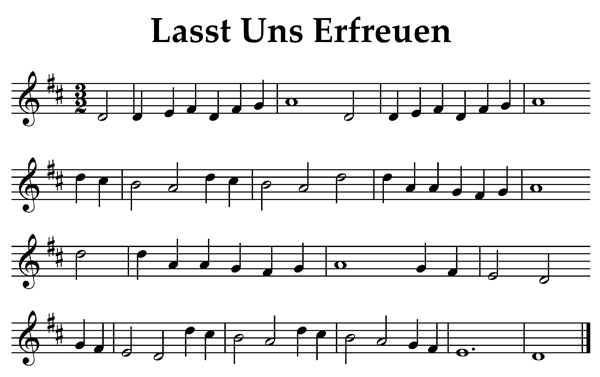 See a list of other hymn tune themes here. Posted in Themes. Tagged Charles V. Stanford, Engelberg, Fred Pratt Green, hymn, Hymns Ancient and Modern, William W. How. This melody was first attributed to the 1701 English song “The Ballad of Captain Kidd”, thought it likely predates those words. 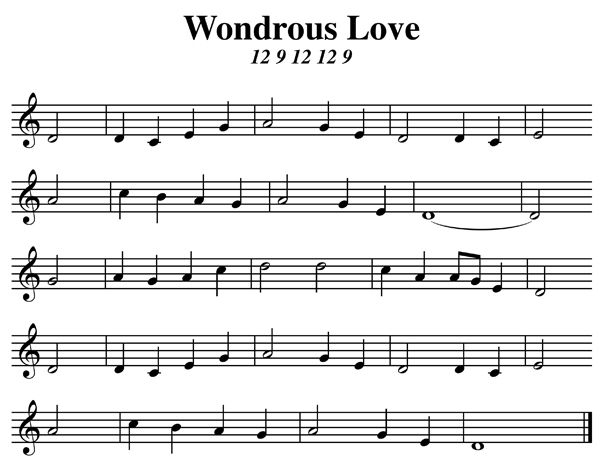 The text “What Wondrous Love Is This” was first published with this tune in The Southern Harmony, a book of shape note hymns compiled by William Walker where the melody is identified as a popular old Southern tune. It is a modal tune. See a list of other hymn themes here. Posted in Themes. Tagged aeolian, dorian, hymn, Modal, Southern Harmony, William Walker, Wondrous Love. 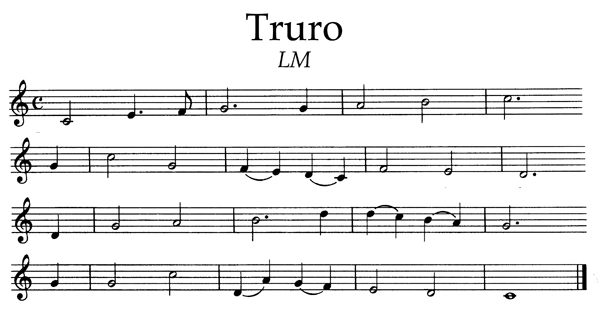 First published in Thomas Williams’s Psalmodia Evangelica, Truro is an anonymous tune, named for an ancient city in Cornwall, England, famous for its cathedral and for its pottery. Posted in Themes. Tagged hymn, Truro. 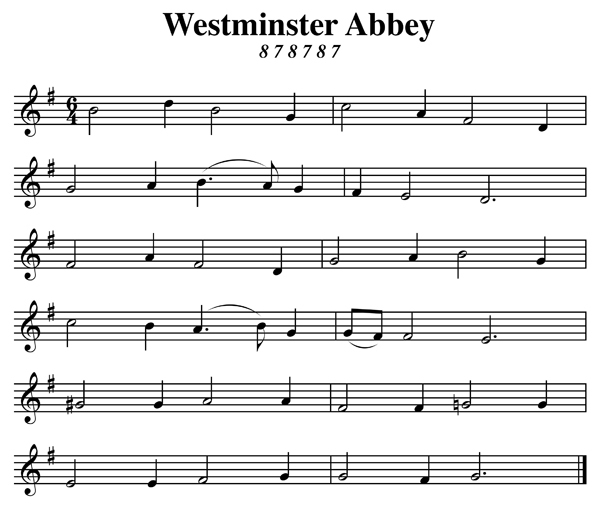 The tune Westminster Abbey was composed by Henry Purcell who served as organist at Westminster Abbey from 1679 until his death at the age of 35 or 36 in 1695. He is buried near the organ at Westminster Abbey. The melody is most often associated with the text Christ Is Made the Sure Foundation. Posted in Themes. Tagged Henry Purcell, hymn, Westminster Abbey. 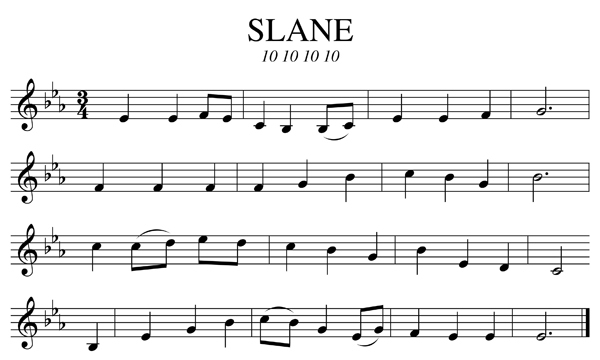 SLANE is an old Irish folk tune associated with the ballad ‘With My Love Come on the Road” in Patrick W. Joyce’s Old Irish Folk Music and Songs (1909). It became a hymn tune when it was arranged by David Evans and set to the Irish hymn “Be Thou My Vision” published in the Church Hymnary (1927). SLANE is named for a hill in County Meath, Ireland, where St. Patrick’s lighting of an Easter fire–an act of defiance against the pagan king Loegaire (fifth century)–led to his unlimited freedom to preach the gospel in Ireland. See a list of other hymns and chorales here. Posted in Themes. Tagged Be Thou My Vision, David Evans, Folk tune, hymn, Ireland, Loegaire, Patrick W. Joyce, Slane, St. Patrick. 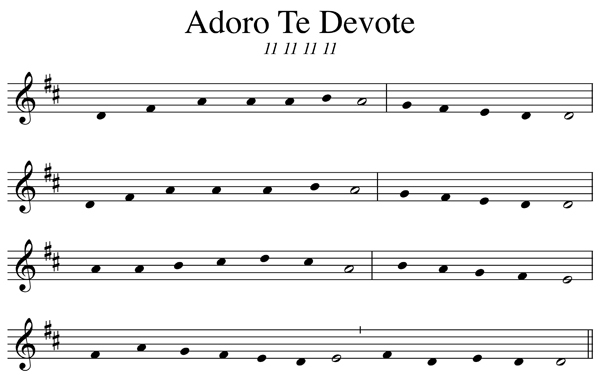 Adoro te devote is a Eucharistic hymn written by St. Thomas Aquinas (1225-1274) at Pope Urban IV’s (1261-1264) request when the Pope first established the Feast of Corpus Christi in 1264. The chant melody in Mode V potentially dates from the first millennium. Posted in Themes. Tagged Adoro te devote, chant, Eucharist, hymn, Pope Urban IV, St. Thomas Aquinas, theme.